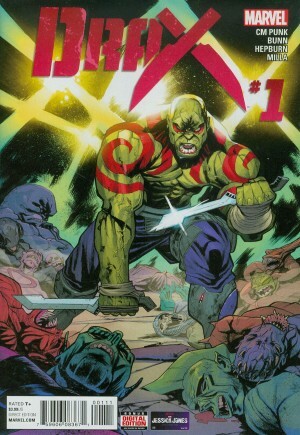 I’m really curious to see how Drax #1 does from a sales perspective. That’s not usually something I concern myself with. But I admit, I wouldn’t have picked this issue up if not for CM Punk’s involvement. I missed Thor Annual #1, which the real-life Phil Brooks co-authored. This issue is my first exposure to his writing. I’m not sure what I was expecting, but here’s the bottom line: He’s not too bad at all. Granted, he’s got a seasoned vet like Cullen Bunn backing him up. But reportedly, Punk is very much bringing his own creative energy to Drax, and it’s not simply a matter of Bunn walking him through things. With this in mind, Drax becomes that much more interesting. This book sees Drax strike out on his own to finally kill Thanos, the ultra-powerful being responsible for the death of Drax’s family (Long story). With an assist from Rocket Raccoon, Drax sets out on a search to finally get the revenge he’s longed for. Readers who came into Drax from the Guardians of the Galaxy movie may be a bit confused, as there is no Peter Quill or Gamora. 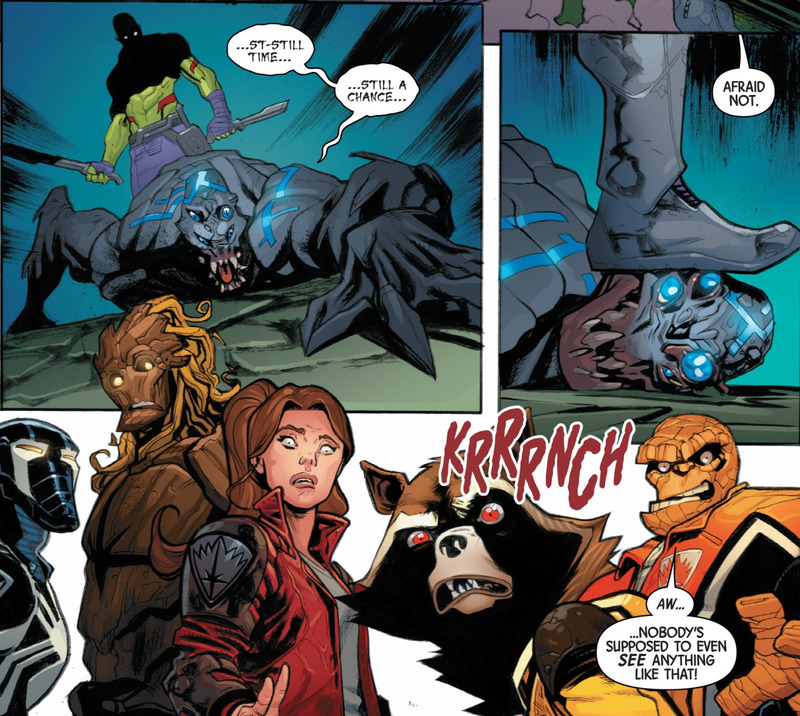 In addition to Drax, Rocket, and Groot, the team now has Kitty Pryde, Venom, and The Thing. It’s never explained why they’re there, but as this is a book about Drax, it’s not a major issue. As Punk used to scream “It’s clobberin’ time!” before many of his wrestling matches, Punk and Bunn take advantage of The Thing’s involvement for a little fan service in the very first panel. Punk and Bunn (What a cute name for a tag team!) also have a great handle on the Guardians brand of humor. For instance, Drax’s motivation for this story is seemingly decided on a whim. With nothing else to occupy his time, he simply shrugs and says: “I guess I’ll go kill Thanos.” The simplicity of this moment makes it arguably the most memorable part of the issue. One can argue this issue doesn’t have a lot of meat to it, particularly after we’re done with the rest of the Guardians. There’s a sequence with Drax and the spaceship, and then he takes a long stroll to get to our cliffhanger moment at the end. While there is some funny dialogue during all this, it doesn’t necessarily have a lot of substance to it. In the end, that’s fine. This is, after all, only the first issue. Plus, they keep the tone consistent throughout. So they get a pass from me. Scott Hepburn is very much in his element here. 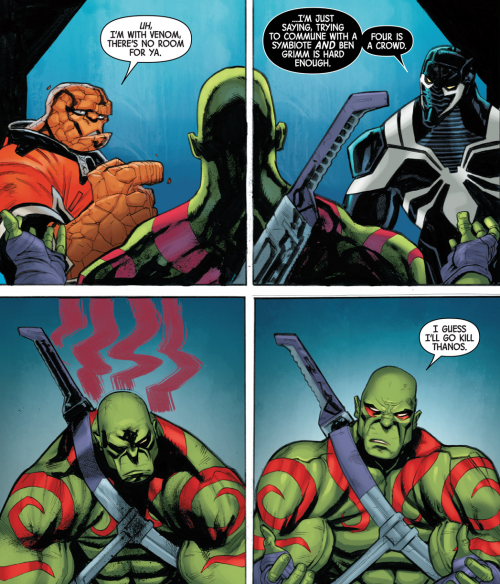 Even on a book where humor and exaggerated expressions are so prominent, he makes you believe in Drax as a musclebound, murderous monster who somehow still has a heart. This guy’s got a lot of rage, and we see that here. But Hepburn is also able to lend a lot of charm to the almost child-like emotional extremes Drax goes to in this issue. And of course, his action sequences are every bit as dynamic as the book needs them to be. 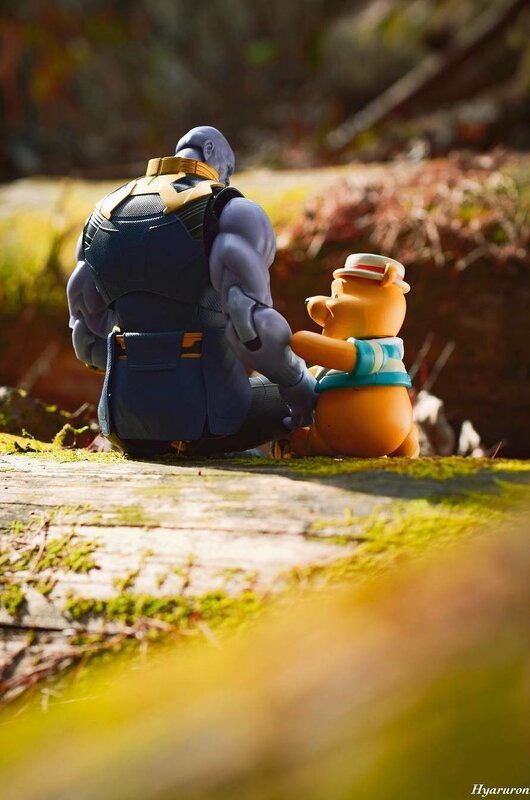 Drax is in good hands for the time being. Seeing this team’s take on a Drax/Thanos confrontation intrigues me, as does watching CM Punk’s progression as a writer. At the very least, Drax is worth a look. This entry was posted in Uncategorized and tagged All New All Different Marvel, CM Punk, comic book reviews, comic books, Cullen Bunn, Drax #1 (2015), Drax #1 review, Drax the Destroyer, Guardians of the Galaxy, Marvel, Rob Siebert, Rocket Raccoon, Scott Hepburn, single issue reviews, Thanos, The Thing on 11/17/2015 by primaryignition.